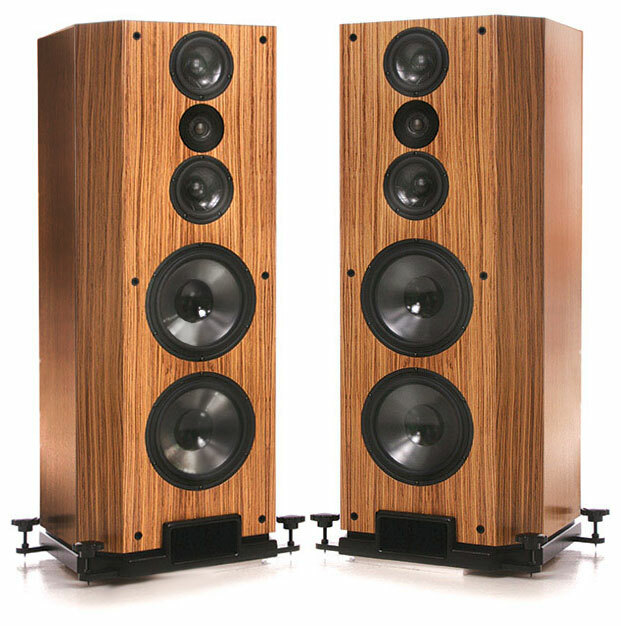 The EPX is a break-through concept in high-performance loudspeakers. 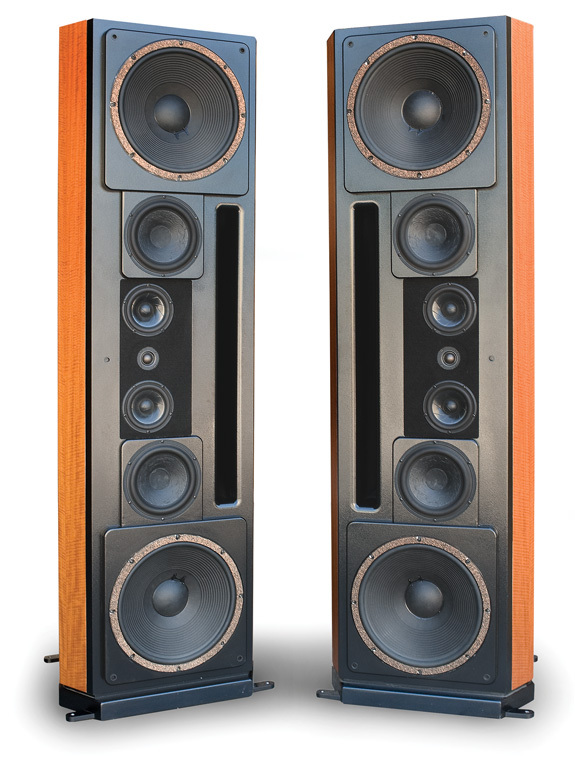 Standing only 44″ tall and weighing a mere 150 lbs., this compact design outperforms speakers far larger – and far more expensive. With four 10″ woofers, mounted in a vented isobaric chamber tuned at 22 Hz, the EPX produces earth-shaking bass below 20 Hz – eliminating the need for bulky subwoofers. The EPX isn’t just about big bass, of course. It can cast an acoustic image so real you’ll feel like you can reach out and touch the musicians. Twin low-mass midrange drivers in a rigidly built sub-chamber flank a 1″ Custom Montana tweeter for the ultimate in output capability, sonic liquidity and top-end sweetness. Steep-slope crossover networks (24dB/octave) with metalized polypropylene capacitors and Monster M1.2S cabling insure maximum power handling and minimum distortion. Standing six and a half feet tall and weighing over five hundred pounds, the WAS is both an immovable object and an irresistible force. With top and bottom-mounted twin 15″ woofers in an immense slot-loaded enclosure, the WAS is capable of generating a gale-force acoustic wind – sound you can literally feel as well as hear. This approach takes the concept of the subwoofer and incorporates it into a single full-range loudspeaker. Bi-wiring allows music lovers to optimize low-end response for drive current, and upper-end response for sonic purity. The driver complement is completed by a pair of 9″ mid-woofers, two 5.25 ridge-cut, doped paper cone mid-range drivers, and a Montana ScanSpeak Revelator tweeter. The results are astounding. With a frequency response from 16Hz – 22kHz and a sensitivity of 94dB, the WAS will play deeper and with greater volume than practically any other speaker on the market, regardless of price. The WAS is the only loudspeaker in the Montana line made in mirror-imaged pairs. Due to its considerable weight (520 lbs. each), ground-floor installation is strongly recommended.